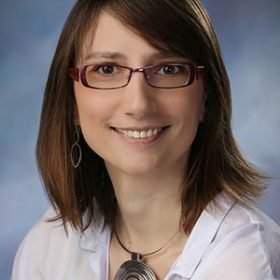 Ana Despina Stan, MD, PhD practices psychiatry at Livingston HealthCare, a Billings Clinic affiliate. Dr. Stan completed her MD at Carol Davila University of Medicine and Pharmacy in Bucharest, Romania, and her PhD in Neuroscience at University of Texas Southwestern Medical Center at Dallas, TX. She then went to complete a residency in Adult Psychiatry at Western Psychiatric Institute and Clinic in Pittsburgh, Pennsylvania. She is board certified in Adult Psychiatry. Her clinical interests are psychotic disorders, including schizophrenias and bipolar disorder, as well as treatment resistant depression. Currently, she is directing the Early Psychosis Intervention Clinic (EPIC MT), the first of its kind in the state, where the goal is to take a person-centered team-based approach at providing coordinated services to patients experiencing a first episode of psychosis. We will start interviewing applicants from October to January.